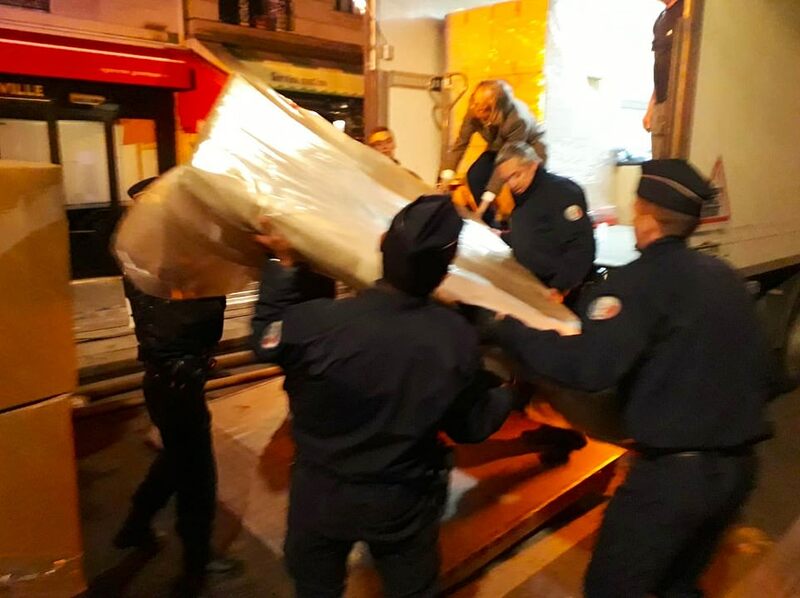 Firefighters, police, and churchmen risked their lives last night to carry priceless historical artefacts and religious relics away from the flames which engulfed Notre Dame de Paris. 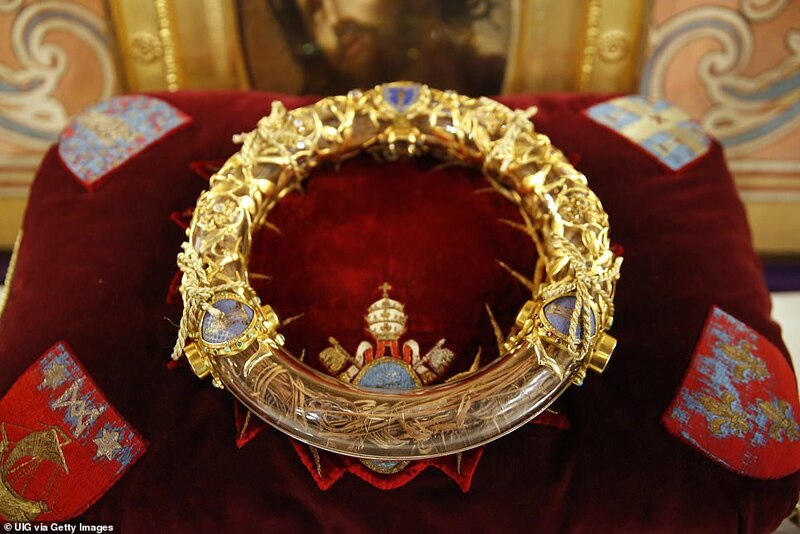 The Mayor of Paris tweeted her thanks to first responders for forming ‘a formidable human chain’ to save irreplaceable objects including the relic believed by Catholics to be the crown of thorns which was put on Jesus’ head as he died on the cross. 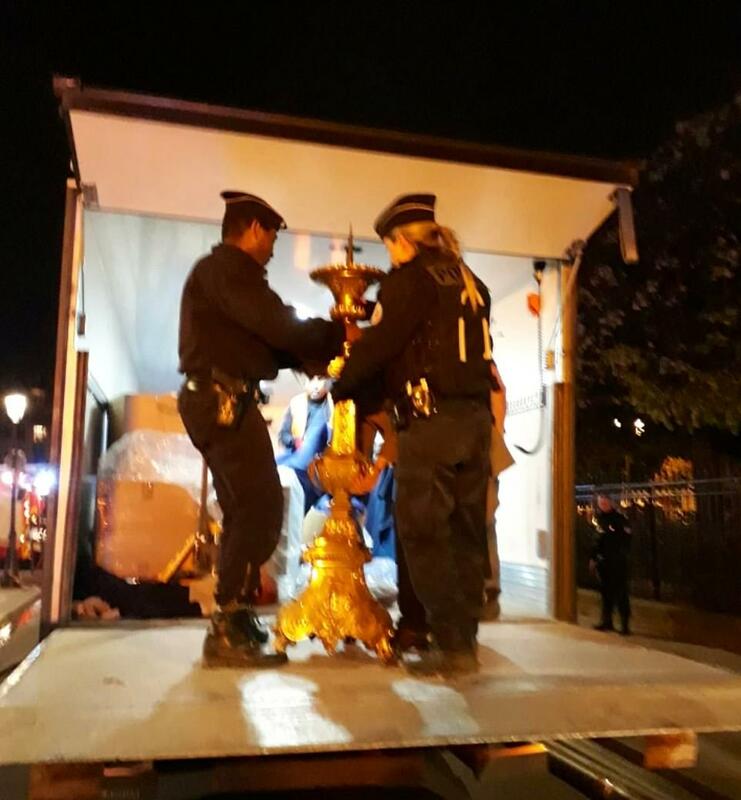 And Father Fournier, Chaplain of the Paris Firefighters, told reporters he went into the burning cathedral to save the Blessed Sacrament and Crown of Thorns. 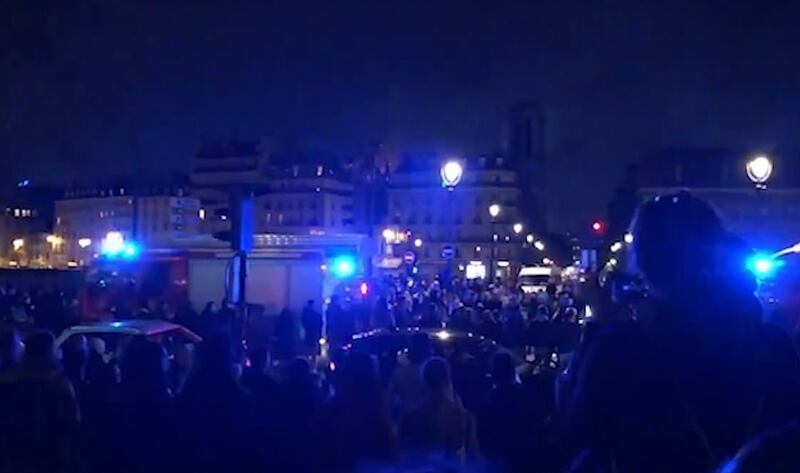 Parisians applauded and cheered fire crews as they drove through the streets in the early hours of the morning. 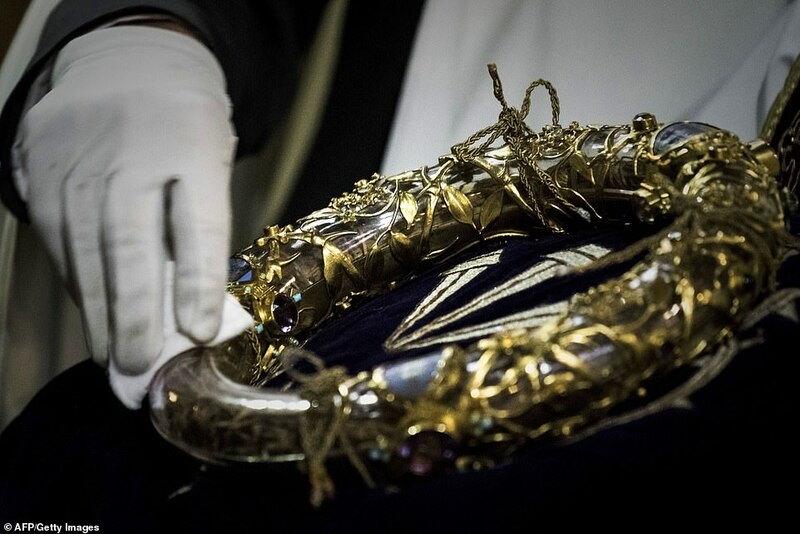 The church’s treasure trove of priceless artworks and religious relics include the Crown of Thorns said to have been placed on the head of Jesus before he was crucified, a piece of the True Cross on which he is said to have died and a nail from the crucifixion. 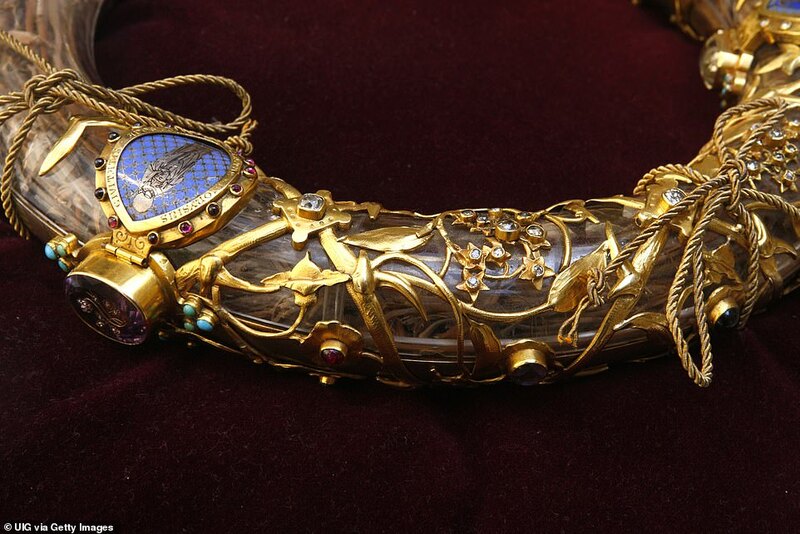 The relics were obtained from the Byzantine Empire in 1238 and brought to Paris by King Louis IX. 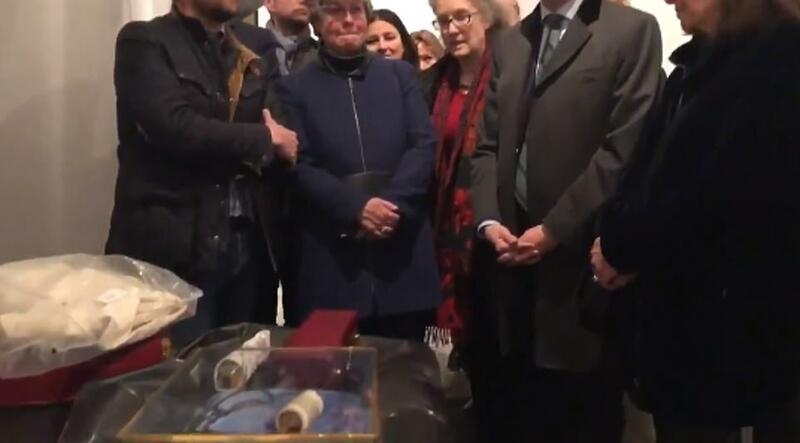 Notre Dame is also home to priceless paintings dating back to the 1600s, including a series known as the Petits Mays, gifted to the cathedral once a year from 1630 to 1707. 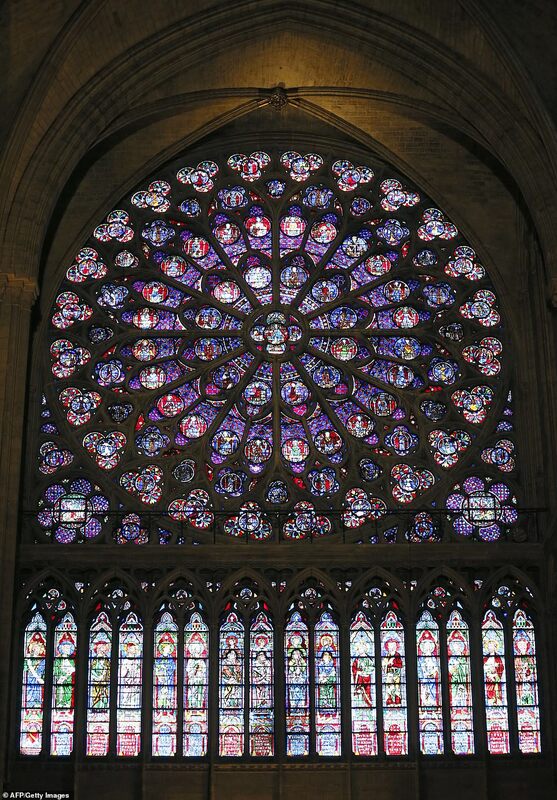 Among the most celebrated artworks are three stained-glass rose windows high up on the west, north and south faces of the cathedral. Notre Dame’s Great Organ, which dates back to the 13th century and was restored in the early 1990s, is considered the most famous in the world, with five keyboards and nearly 8,000 pipes. 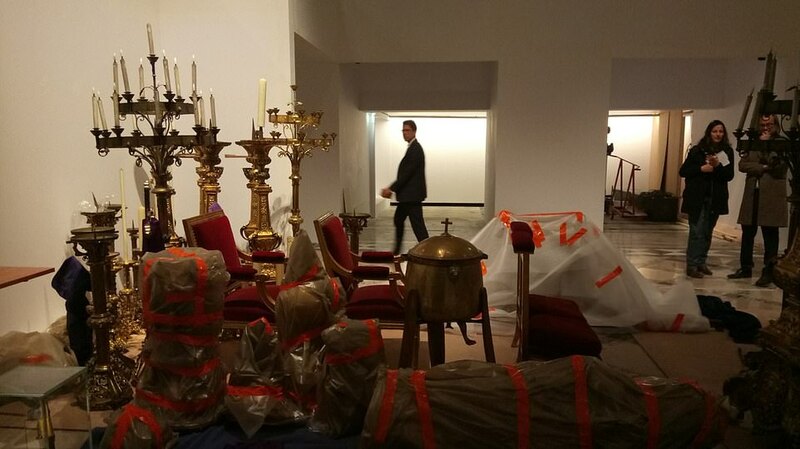 Last night firemen at the scene said all efforts were being directed at saving artwork in the cathedral and preventing the collapse of its northern tower. ‘Everything is collapsing,’ a police officer near the scene said as the cathedral continued to burn. 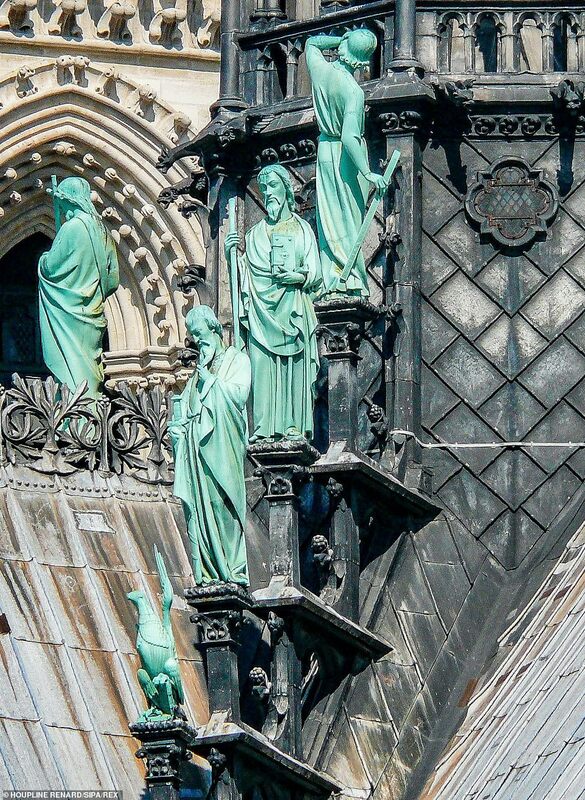 The ten bells of Notre Dame are renowned across Europe and the first nine are named Marie, Gabriel, Anne-Genevieve, Denis, Marcel, Etienne, Benoit-Joseph, Maurice, and Jean-Marie. 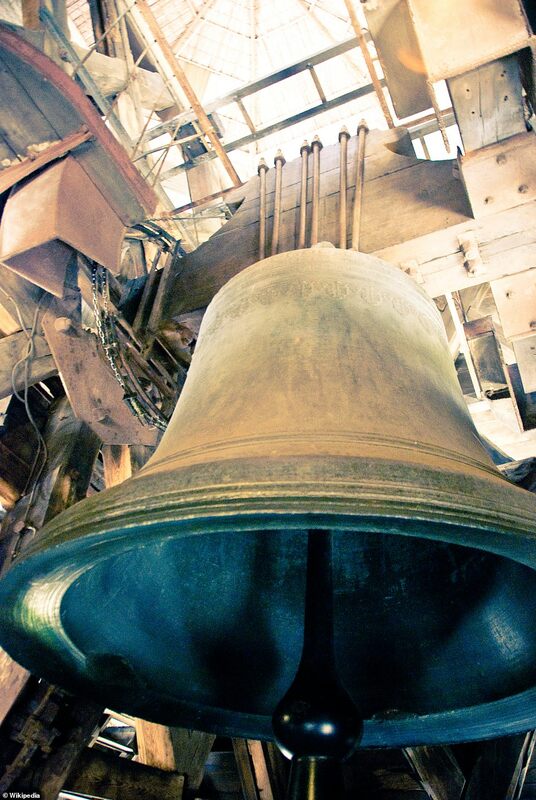 The final and largest, known as the bourdon bell Emmanuel, weighs more than 13 tonnes. 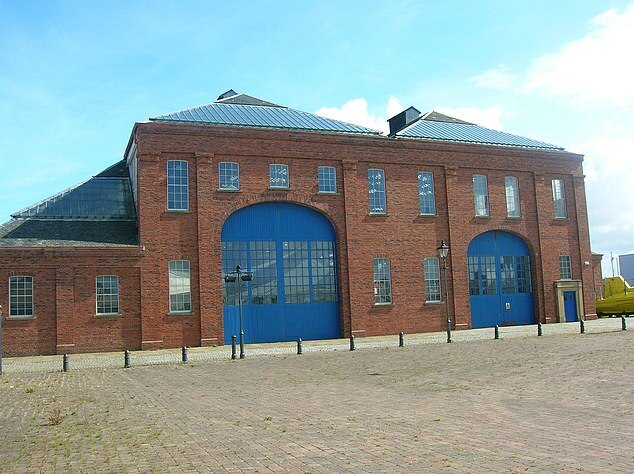 It sits in the southern tower and has been a part of the building since 1681. 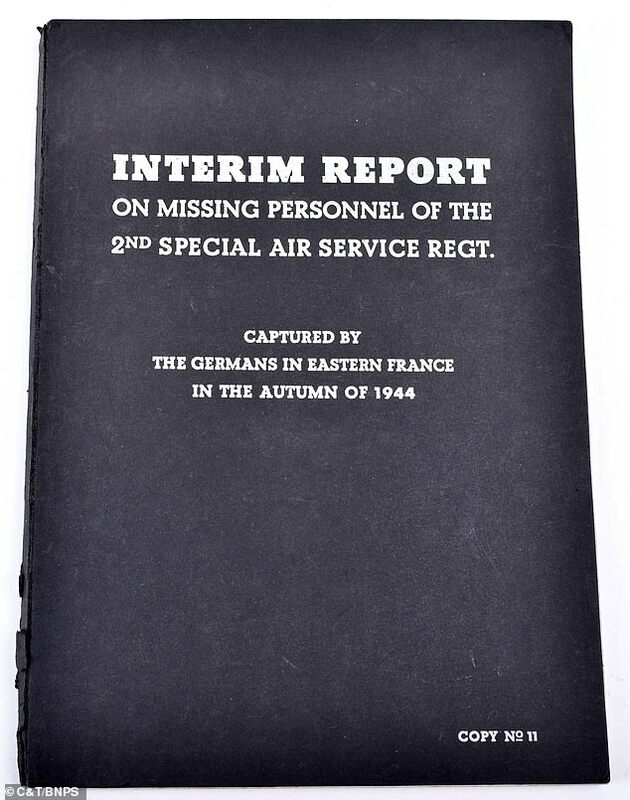 In 1944, Emmanuel was rung in celebration and triumph by French troops and allies to announce to the city that it was on its way to liberation. The famous gargoyles and chimera that adorn Notre Dame were built in the 19th century by architect Eugene Viollet-le-Duc. The original purpose of the gargoyles was to assist with the building’s drainage, but they have become one of its most-loved features. 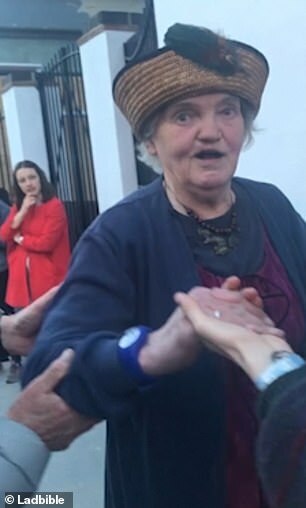 In the 1790s, Notre Dame was desecrated during the French Revolution when much of its religious imagery was damaged or destroyed and its treasures plundered. 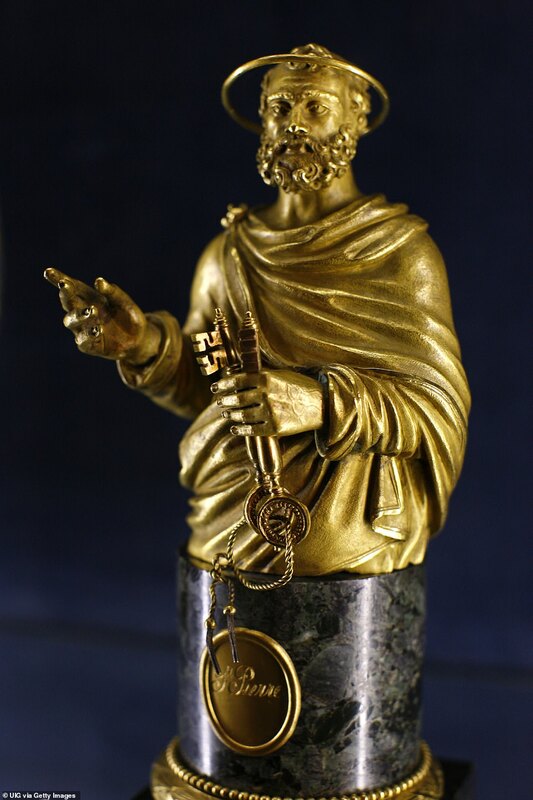 The 28 statues of biblical kings located at the west facade, mistaken for statues of French kings, were beheaded. All of the other large statues on the facade, with the exception of that of the Virgin Mary on the portal of the cloister, were destroyed. The cathedral was restored over 25 years after the publication of the book The Hunchback of Notre Dame by Victor Hugo in 1831 brought it into the spotlight. 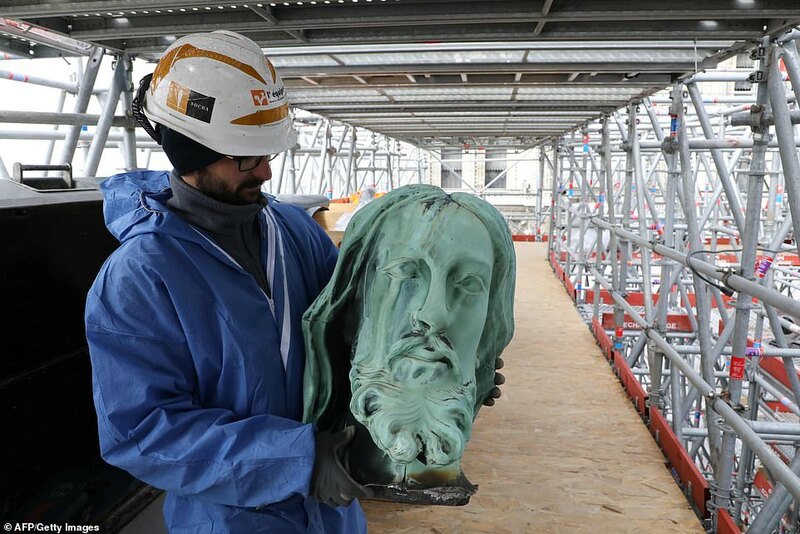 Sixteen statues that were part of the cathedral’s destroyed spire were safe and unscathed after being removed as part of a renovation a few days ago, and that the relics had also been saved. 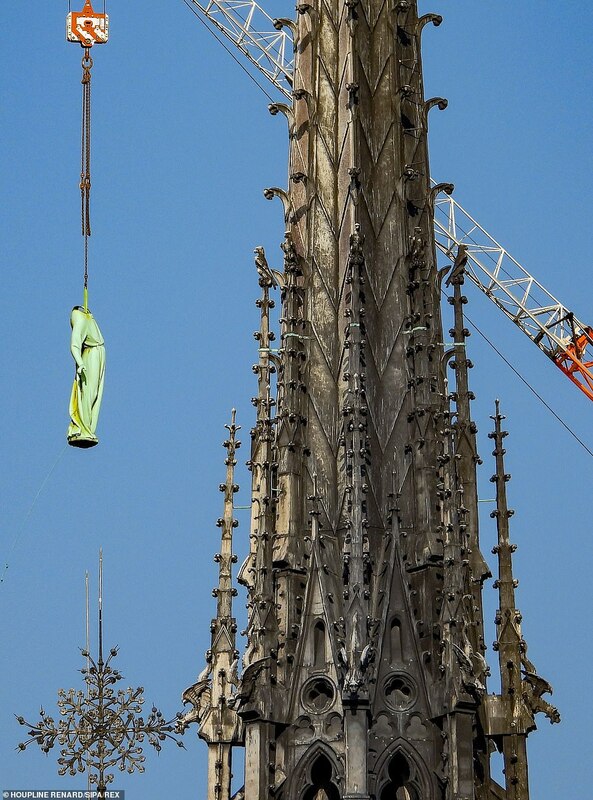 The green-grey statues, representing the 12 apostles and four evangelists, were apparently lowered by cranes from the site and taken away. The cathedral also has a spectacular series of carved wooden stalls and statues representing the Passion of the Christ. Next articleWhy ARE so many non-smokers dying of lung cancer?